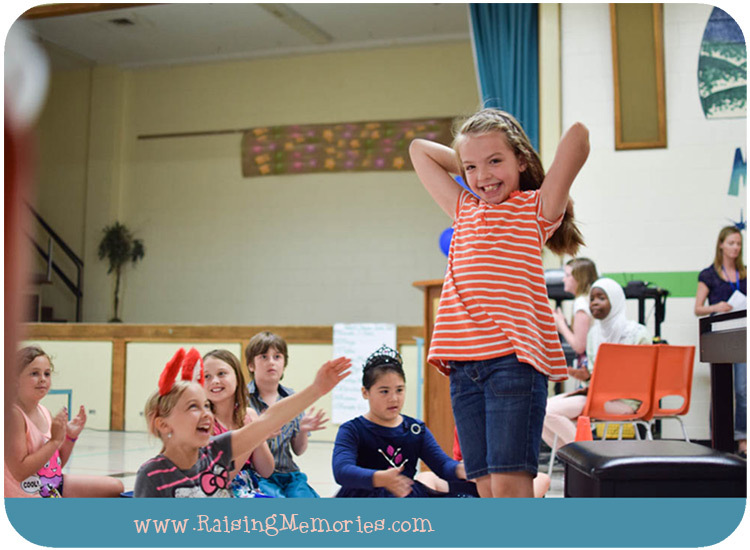 It was the last day of school for Talia. I didn't have time to snap a shot of Katrina on her last day of school, so I had her pose with Talia, wearing her backpack (haha). 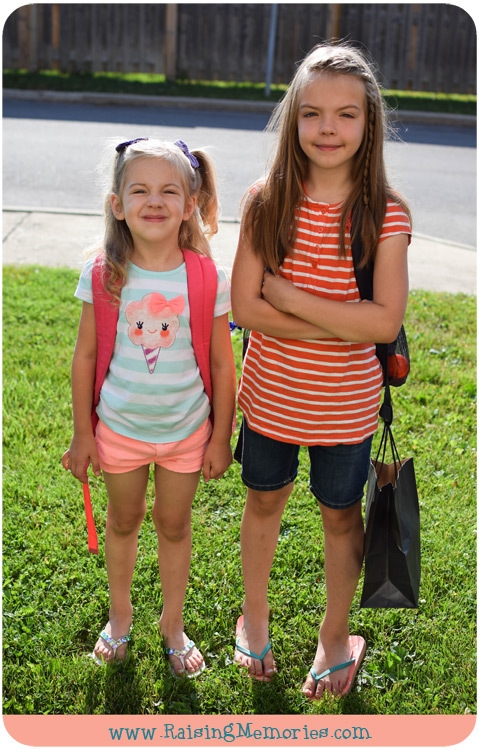 So, this is kind of a fake last-day-of-school photo (at least for Katrina). I'll be sharing 5 posts with you throughout the year, where I'll share photos from 5 different events. Talia's talent show is the first! (although let's be honest, beyond those 5 official posts, you'll be seeing lots of photos from me & this camera ;) Here's one example that I already posted. See the bag in Talia's hand above? 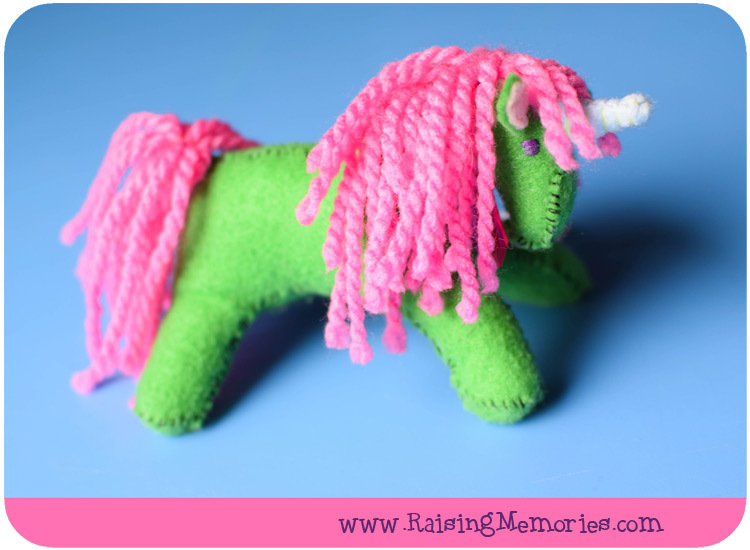 Inside is the stuffed Unicorn that I helped her to make for her teacher who loves them. It turned out so well! (If you're looking for the pattern and a great tutorial, we found it here). 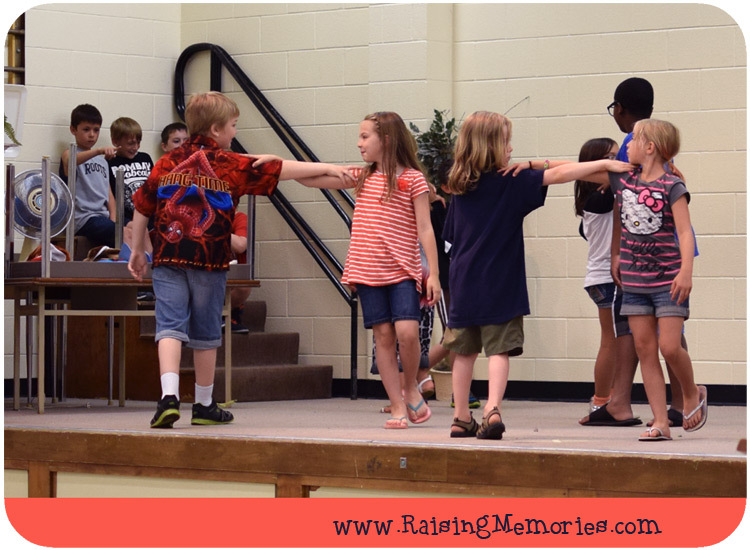 The last day of school was also a school talent show. 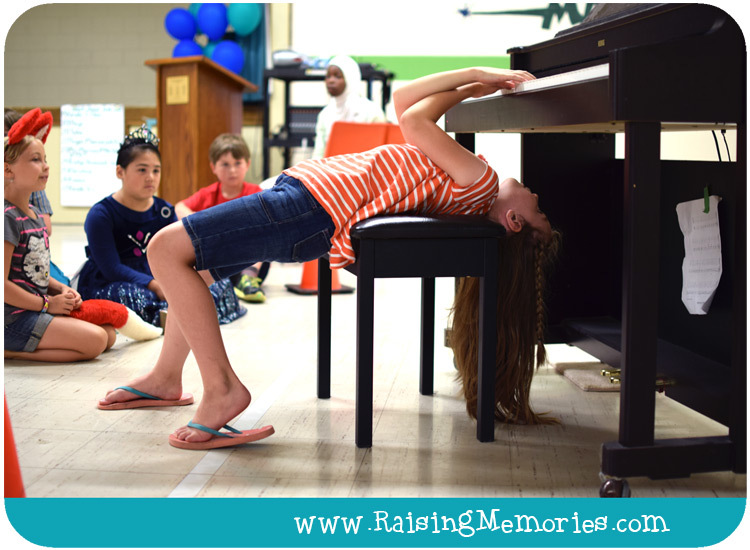 Talia would be performing some dances with her class as well as a special piano piece by herself. The Talent Show took place during the school day, so Ken, Katrina & I showed up while the kids were outside for recess and got seats. Here Katrina is patiently waiting for the show to start while I test out some settings on my new camera, to see how I want to shoot in the gym. One of my favourite things to capture with photography is a genuine facial expression that shows you the emotion that was felt at that moment. Talia's class was the first to perform so they were standing on the stage in their places while the other students filed in, to watch. 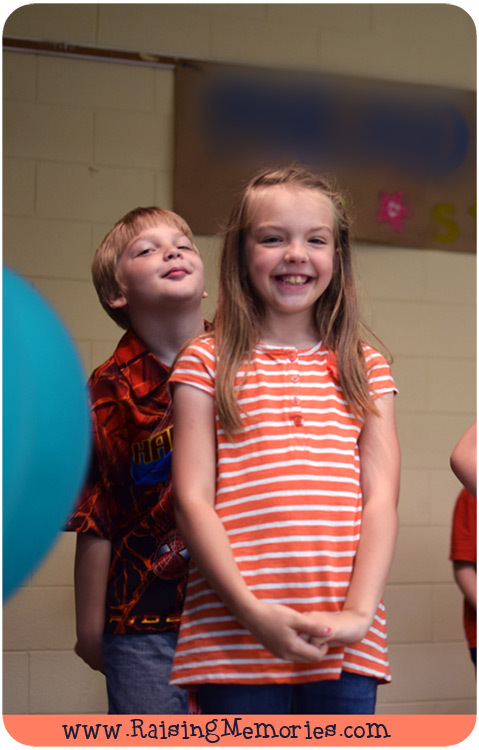 I walked right up to the front of the room and stood off to her side of the stage and talked to her briefly (she needed me to go and get her piano music that she had left in her backpack). Before I went back to my seat, I snapped this shot of her. She and her friends were giddy with excitement and I love that I've captured that moment to remember! 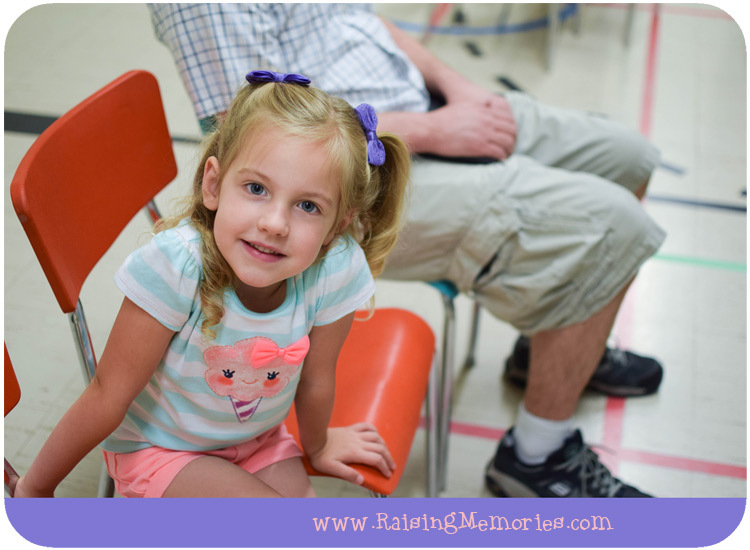 When the show got started, I moved to the side of the gym, closer to the front, so that I could catch some photos of Talia's class as they preformed their dances. I had my 35mm lens (which doesn't have a zoom), so I needed to "zoom with my feet". ;) Katrina wanted to come with me, so we watched together while Ken watched from his seat. 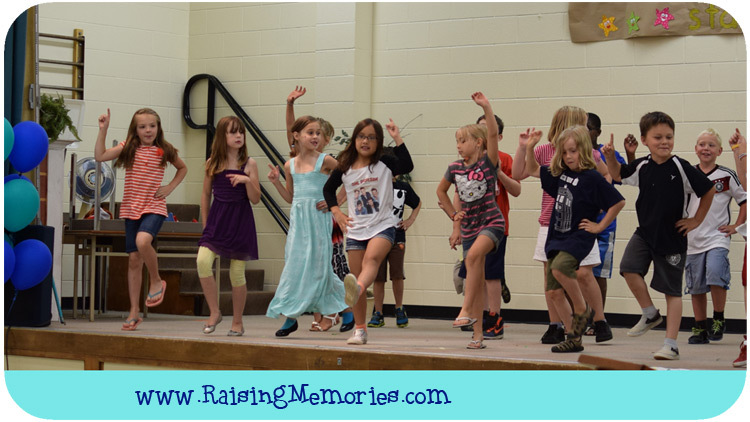 It was so cute to watch the different styles of dance that her class had learned. :) I loved that I could get nice photos in the dim light of the gym (with zero natural light). I just set my ISO higher and the camera handled the low light really well! (You just can't get quality like that, in dim light, from a cell phone camera or a point & shoot camera!) I would not have been able to capture those moments this well without a camera like this! I also caught some video of their last dance (to the song "What Does The Fox Say?"). It was so cute! I can't wait to play more with video on this camera. I have never had an SLR that will take video, so this will be fun! Katrina was so cute, watching Talia's class. She even danced along a few times (telling me that Talia had taught her). I turned around after one of their dances and caught her clapping :) I love moments like this in photos because it's not just a shot of Katrina clapping, but a glimpse into her little mind.. I look at it and I know that she is watching her big sister and looking up to her. I can't wait to share more photos and memories with you. I am loving this camera so far (not just for its quality though- its light weight is saving my hands a lot of pain)! I used my larger camera the other day because I needed an external flash for something I was shooting and I don't have an external Nikon flash* (though I am seriously thinking about the possibility of getting some more Nikon accessories to go with this camera) & was immediately surprised by its weight. The D3300 makes my hands very happy! This also means that I am more likely to both bring it with me places and pick it up and use it for quick moments, so I'm capturing more memories now than before! * I just want to mention that the D3300 does have a pop-up flash.